Ever wanted to star in your own fairytale? We think it’s safe to say we all, at some point in our lives, have wished for something like that. The magic, the beauty, the whimsy – fairy stories draw us in and leave us wanting to live through them ourselves. Our YouTube faves, too, have dreamt of appearing in fairytales – and they have someone who is willing to make their dreams a reality. Linda Blacker is a photographer who’s made a name for herself with her inventive and whimsical photography. With her photos, she’s able to exercise a creativity that knows no bounds, and she often accompanies her work with unique and original tales. 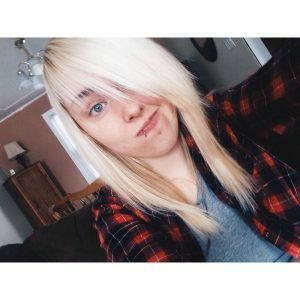 These include her YouTuber Fairytale series, which has become a regular feature on her Instagram. Whether she’s continuing a preexisting story or thinking up her own, she constantly leaves us captivated, so we thought we would highlight some of our favourites. 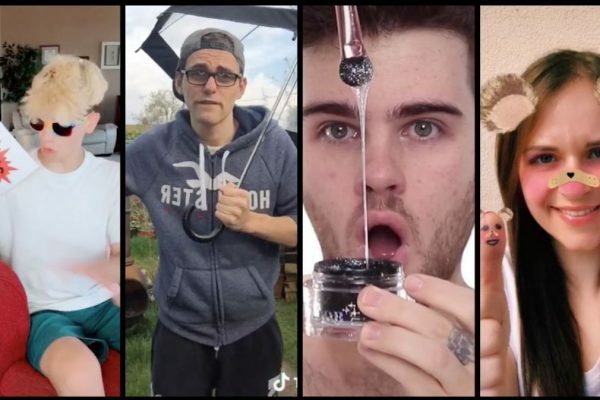 So here they are, our ten favourite YouTuber Fairytales! Linda’s first YouTuber Fairytale debuted in December 2015 and featured Carrie Hope Fletcher as a beautiful fairy charged with guarding a magical statue. It was what started our captivation with Linda’s photography and led us to being the avid fans we are. The statue that the fairy guards, a stone toad, contains magic yearned for by humans who seek to abuse its power. She never wavers in her task, guarding it during the day. However, at night she needs her rest, so she drinks the magic water within the statue, which turns her to stone. From there, the toad leaps into her hands, protected during the night by her firm grasp, only for everything to return to normal upon the next day’s sunrise. We found ourselves in disbelief of the makeup in these photos! We genuine thought they’d turned Carrie to stone! HELEN ANDERSON & NIKI N SAMMY IN THE GUARDIAN OF THE MAZE – PART FIVE 🔮 Photography, styling, concept & story by @lindablacker Please follow me to see the rest of the series and much more! Thank you to the AMAZING @helenanderz & @nikinsammy for starring in this photo series! A true pleasure to work with and a super fun day! 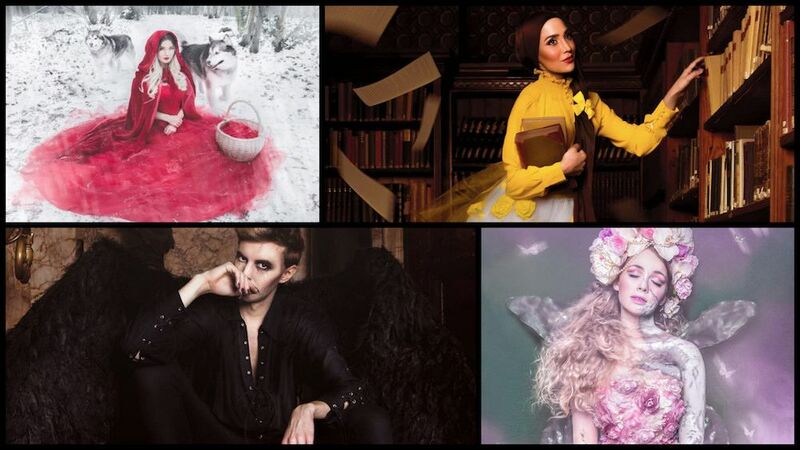 Thank you to the brilliant make up artist @ashleighmua who achieved the amazing make up for this photo series! Smoke grenades purchased from Enoyla Gaye @smokegrenades The Story Part Five Plumes of purple and green smoke filled the sky, the maze around them growing darker beneath the colourful cloud. The Guardian and the Elves were locked in conflict in the maze below. The Guardian drew back her staff to launch her fatal magic at her enemy. But as she launched her attack, a blinding white light exploded from the tip. The Guardian and the Elves fell to floor engulfed by the white light, momentarily deprived of their sight. A powerful voice rose out of the silence and met their ears. It was the voice of one of the Greats, from the Kingdom of Mages. ‘Cease this fight. Your battle is misplaced and misjudged. You are not enemies and these elves place no threat to the Mage’s Kingdom.’ The light around them began to fade and their sight slowly restored. The Elves were taken aback and the Guardian seemed wary that this was some of the mischievous elves’ trickery. Deep down she could sense that the two elves were simply misguided. Struggling to find acceptance amongst their kin, which had driven them to complete this dangerous task. The voice returned, bellowing instructions to the triad. ’Each of you, place a hand on the Guardian’s Staff! We shall show you what you need to see.’ Tentatively, the Guardian and the Elves rose up, each placing a hand on the staff. A feeling of great ease fell upon them. This restorative energy passed through them, imparting great knowledge and power from the Mage’s Kingdom. From this day forth, their fates were tied. Niki and Sammy Albon regularly feature in Linda’s photography, but this is definitely one of our favourites, and it’s not just because Helen Anderson also makes a cameo as a pretty badass Guardian. In this photoshoot, Helen plays a mage in charge of guarding the portal to her kingdom from those who wish to possess its magic. Two dark elves, portrayed by Niki and Sammy, try to access the portal on behalf of their own kingdom, in the hopes of once and for all being respected by those who view their empathy as weakness. When they try to access the portal, they witness the Guardian’s magic first-hand, only to be later tied to her after the intervention of one of the kingdom’s Greats. The colours in these photos absolutely blew us away! Snow White is fairytale classic. We doubt there’s anyone on the planet who hasn’t heard of it, and do you think there are any better YouTubers to portray Snow and the Evil Queen than dodie and Hazel Hayes? Linda’s tale begins with Snow White in her role as queen. Walking the garden after banishing the Evil Queen, she feels at peace as she grabs an apple from a tree. However, upon biting into the apple, she feels the ill effects of dark magic as she becomes unable to move. The Evil Queen comes into view, laughing as she declares her return to reclaim the throne. Trapping Snow White in a mirror, she begins her reign of terror… But is this where the story ends? Everyone loves a good Halloween tale – preferably spooky that leaves us with goosebumps. Thankfully, Linda knows exactly how to craft one, and did so with the help of Mark Ferris. In this dark fairytale, one that’s almost reminiscent of the creepy tales of the Brothers Grimm, Mark portrays a damned angel who falls from heaven and comes to rule his own kingdom, the Kingdom of Shadow. As he begins to get his bearings, he starts his search for underlings who will serve under him. We know who we’re dressing up as this coming Halloween! This past Valentine’s Day, Linda decided to remind us all that the most important love of all is the love we hold for ourselves, and she does so with the help of Grace F. Victory, Enam Asiama, and Megan Jayne Crabbe. 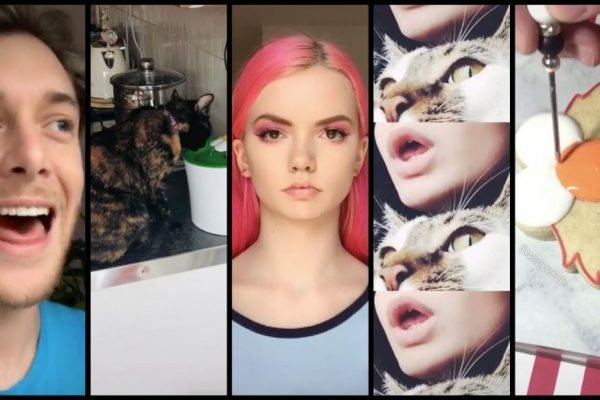 We live in a world where society dictates what is beautiful, often leaving many feeling as if they aren’t good looking enough, which made these three goddesses very sad. They were so sad, in fact, that they started to cry, their tears falling to Earth as rain. Then everything began to change. There was magic in those tears, the magic of self-love. As they fell, this self-love began to pass from human to human, cheering up the goddesses. While humanity has a long way to go, they saw it was starting to see the light, to understand true beauty, and it left them feeling hopeful. This is a fairytale we feel everyone needs to read. Rosie Spaughton and Rose Dix are one of our all-time favourite YouTube couples, so you can bet we were excited to see them team up with Linda for this inspiring photoshoot. After years of living in harmony, the kings and queens of each card suit grew greedy, wanting the whole of the land to themselves. In battle, two fall, leaving only the hearts and spades standing. The queens, warriors themselves, fight alongside their forces – that is, until they come upon each other. Upon glancing at each other, a feeling of love begins to fill them and they kiss, realising how long they’ve put their own needs aside in order to help fulfill their husbands’ goals. With this realisation, they decide to use their magic to stop the fighting, leading to harmony once more. We were waiting for the day when Linda would finally collab with Amena Khan, so when this Beauty and the Beast-themed photoshoot appeared on our Instagram timelines, you can bet we were over the moon! In her signature golden yellow, Belle ventures to her favourite spot, the library, amidst the whispers and comments of villagers who don’t approve of the way she conducts herself. Unable to truly ignore them, she finds herself ruminating over the comments as she scours the endless shelves of the library. She begins to doubt herself until she is reminded by the librarian, and a beautiful red rose, that she is allowed to be whoever she wants and that she is carving her own path, away from that which the villagers are accustomed to. Once again looking through the books, she comes upon one filled with maps and finds herself dreaming on her own adventure, knowing one day the ones she reads about will become her own. Greek and Roman mythology has always been of great interest to us. We don’t know what it is about it, but we’ve always loved learning about the different gods and their histories. It seems Linda shares this interest, considering she planned this mythology-inspired photoshoot with Lucy Moon. It’s no secret Linda is a huge fan of Lewis Carroll’s Alice in Wonderland. She’s done a variety of photoshoots related to it, including this YouTuber-filled one back in 2014, and it appears that love has not waned, given her recent shoot with Saffron Barker. As Alice returns to Wonderland for tea with the Mad Hatter, she finds he is nowhere to be seen. As a feeling of loneliness begins to creep in on her, she begins to explore his house and comes upon a letter and bouquets of white roses, with a request that they be painted red. As she finds another letter inviting her to tea in Tugley Woods, she smiles, knowing she is never truly alone with the Mad Hatter by her side. Linda, this is the sequel we’ve been waiting for! Little Red Riding Hood was one of our favourite fairytales growing up, but what if we told you the story we were all told is a lie? That appears to be the case, given the fairytale Linda shares with the help of Roksana Janiszewksa and some adorable Alaskan Malamutes! In the real tale of Little Red Riding Hood, Red isn’t one to be afraid of wolves. In fact, she is their guardian, having the body of a human but the blood of a wolf. While she might appear normal by day, residing with her loving grandmother, but by night she is a protector, stopping creatures of darkness from taking up their roots in this world. With the wolves by her side, she fulfils her destiny and leads her double life. We definitely prefer this version. Oh, how we wish we could star in our own fairytale. Linda sure has an eye for the whimsical, and we can’t wait to see which story she decides to depict next. Who knows, maybe if we’re lucky we’ll be asked to star in a future YouTuber Fairytale… We count as YouTubers, right?